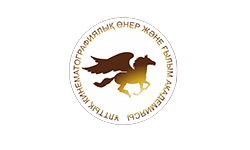 The Eurasia International Film Festival is the major film forum in Central Asia accredited by the International Federation of Film Producers Associations (FIAPF). The Festival’s main goals are to support film industry in Kazakhstan, to further the appreciation of motion picture arts for people of all ages, and to build the platform for successful cooperation between Asia and Europe. The Eurasia International Film Festival was established in 1998 in Kazakhstan. The Festival takes place in Almaty, with the exception of the 5th and the 13th editions held in Astana. Since 2010, it is annual. Since 2016, the festival team has been nominated by the National Academy of Motion Picture Arts and Sciences.